I love fruity food. Let me rephrase that. I LOOOOVEEE fruity food. Fruit in our food happens quite often around these parts (as you’ll see throughout the week), but this right here I want over and over again. Last week I read It Starts with Food (go read it), and ever since I can’t get this one dish out of my head. I went to bed thinking about it, I woke up thinking about it, and I ate every other meal thinking about it. 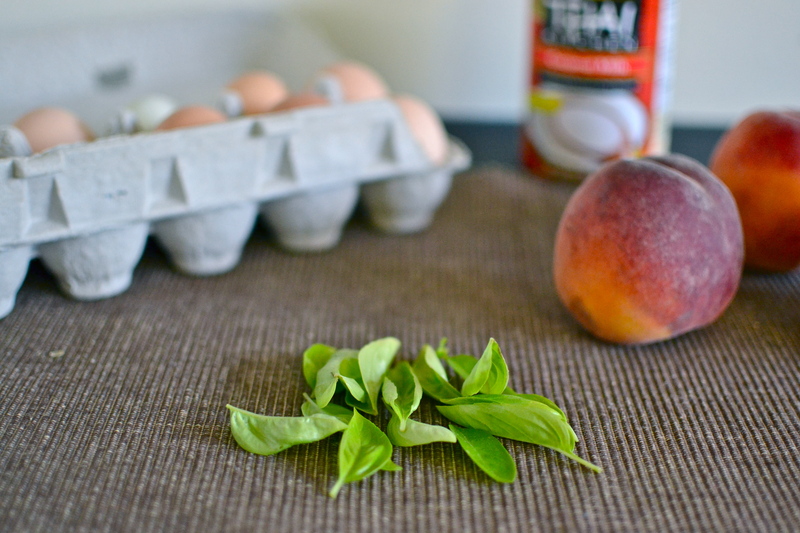 Ever so casually an egg, peach, and basil scramble was mentioned as if it wouldn’t stand out. Um, helloooo that only sounds AMAZING. 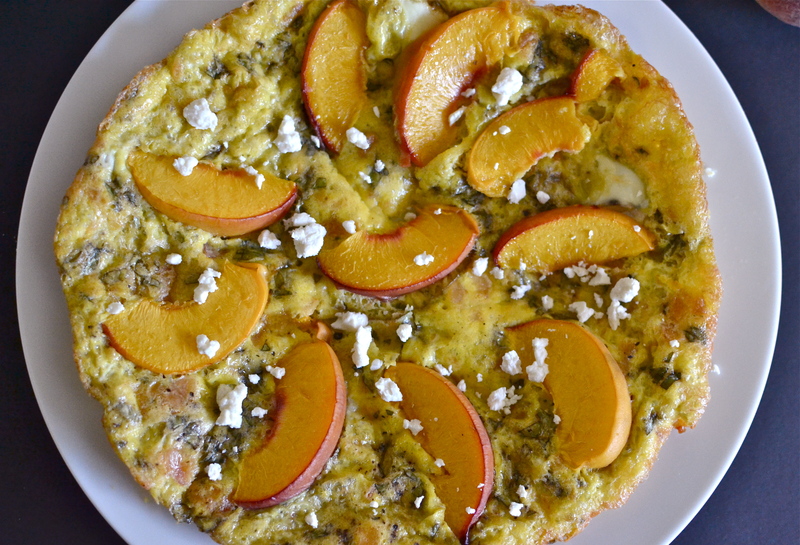 I just couldn’t get over the idea of warm, roasted peaches in eggs. Call me weird (it’s what CJ does) but I needed to have it. Pre heat oven to 350. In a 10″ oven safe skillet cook bacon slices. Once cooked remove, crumble, and set aside. Drain excess bacon fat. Heat coconut oil in skillet over medium heat. Whisk together eggs, coconut milk, crumbled bacon, chopped basil, and a pinch of salt and pepper. Pour egg mixture into skillet. Let cook until just set, about 5 minutes. 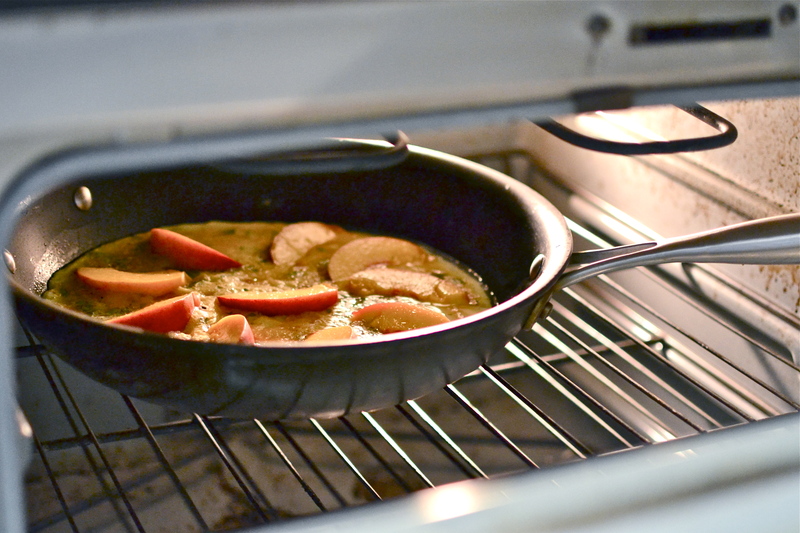 Place skillet in the oven and cook about 10-15 minutes, until frittata is puffed up and cooked all the way through. Remove from oven and sprinkle with feta. Cut and serve. So, so, soooo good. I’m already dreaming of new ways to make my eggs fruity. YUM. Yum, I thought this sounded great when I stumbled upon it in the book too. I’ll have to try it! Going to try that this weekend after my Saturday morning trip to the farmer’s market. Thanks! I read that book but somehow it didn’t stand out to me. Wait, what? 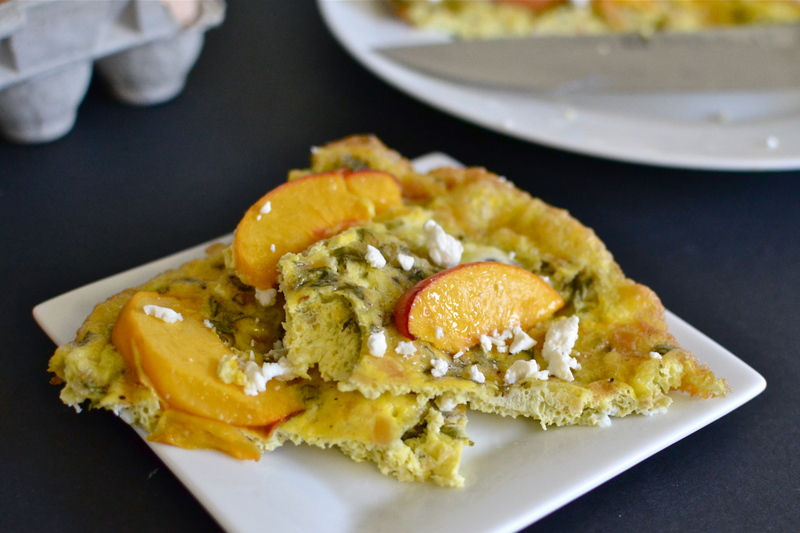 I either missed the mention of this recipe, or the inclusion of peaches shorted out something in my brain. 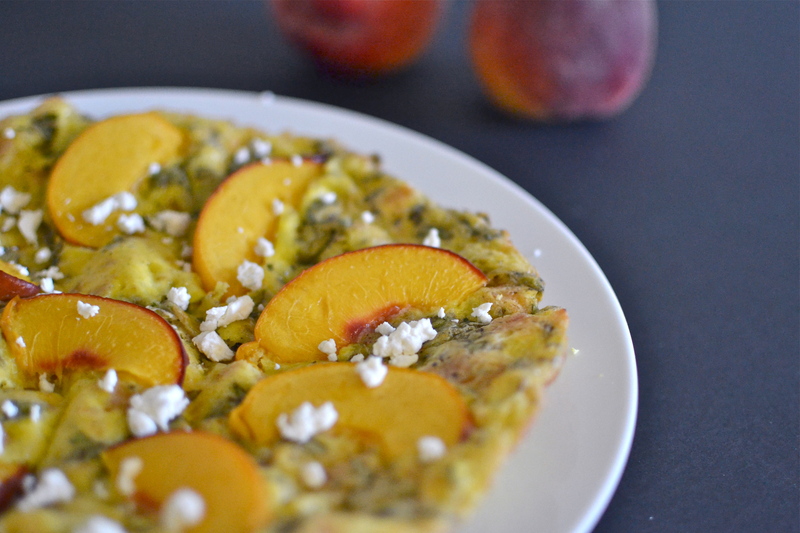 Your pics look tasty, though, so I’ll have to earmark this for next summer when peaches are back in season. haha think it short circuited my brain too… couldn’t get it off my mind!